Constance “Connie” Ann Speir Brayboy, age 69 of Clarendon went to be with the Lord on Saturday, August 25, 2018 at the Lower Cape Fear Hospice Angel House in Whiteville. Final rites will be held at 3:00 p.m. Monday, August 27, 2018 at Worthington Funeral Home with Reverend Ricky Parker officiating. The family will receive friends one hour prior to the service at Worthington Funeral Home in Chadbourn. She was the daughter of the late Shirley Ann Herbershimer Speir and William Joseph Speir. She was also preceded in death by a son, Timothy Brayboy. 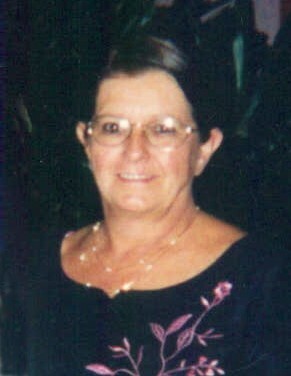 She leaves to cherish her memory, her husband of 49 years, Johnnie Ray Brayboy of the home; two children, Catherine B. Leonardi and her husband, Sal of Hampton, VA and Joseph M. Brayboy of Leland; a brother, Ronnie Speir of Cumberland, MD; 9 grandchildren, Christina Brayboy, John Leonardi (Amanda), Sal Leonardi (Angela), Tony Leonardi (Devon), Matthew Brayboy, Anna Brayboy, Frank Leonardi, Joey Leonardi (Aga) and Joey Carson; and 13 great-grandchildren.